Donna is a Managing Partner and Principal at Ross & Company, bringing over 25 years of experience as an operating executive and sales leader in healthcare. 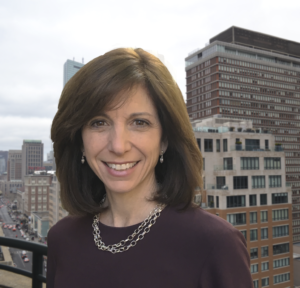 Donna leverages her competitive drive and operating career to effectively identify, evaluate and recruit executives for a diverse range of clients. Specializing in senior management searches across a variety of functions, Donna covers a broad spectrum of healthcare segments including multi-site provider services, managed care, outsourced contract services, and HCIT. Her clients range from emerging growth to Fortune 1000 companies, with significant focus on venture capital and private equity backed businesses. Donna has demonstrated an extraordinary track record of success. Resourceful, intuitive, and relentless, Donna’s mission to provide the absolute best client experience has allowed her to exceed expectations and execute successfully. As Chief Operating Officer of a high growth, multi-site healthcare services provider, Donna led all aspects of business development and operations. Donna also has extensive knowledge of the healthcare equipment, medical device, and IT sectors as she has represented Toshiba America Medical, Philips Medical, and numerous early-stage ventures in sales, strategic development, and commercial leadership searches. Donna has served on the boards of several not-for-profit organizations and is a volunteer for Philadelphia Treats for Troops. A graduate of Old Dominion University, Donna was a scholarship athlete who played on two Division I National Championship Field Hockey teams, and was a member of the Olympic Field Hockey Team. Still athletically driven, Donna participates competitively in triathlons. Donna is based in Philadelphia.